This Bass Wood sign was extremely easy to make using my Cricut Explore! 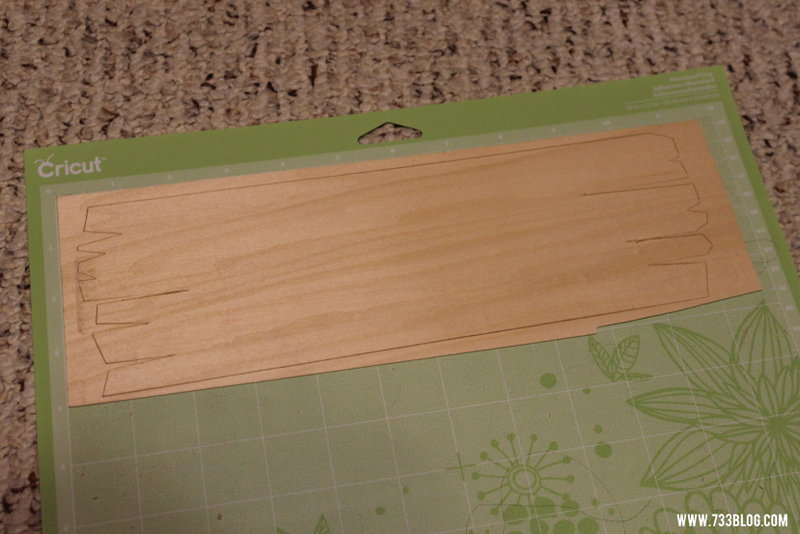 I purchased a strip of 1/32″x4″x24″ Bass Wood at the craft store. I cut it down to 12″ and placed it on my Cricut mat. In Cricut Design Space I found a wood image that worked perfectly for the sign and sized it to fit my piece of 4″x12″ wood. I then added the text and also inserted a couple of sea weed images. I used print then cut for text using printable vinyl and then cut the sea weed from card stock. The wood sign I cut using a deep cut blade and changing the dial to the thick leather setting. I transferred the vinyl to the sign, glued on the sea weed and hung it on my daughters door using Velcro 3M Command Strips. Before you go, check out the rest of my daughters Little Mermaid Room!